As I stated in my last post, I’m a chaser of the endless summer and would ideally like to see winter on my own terms. 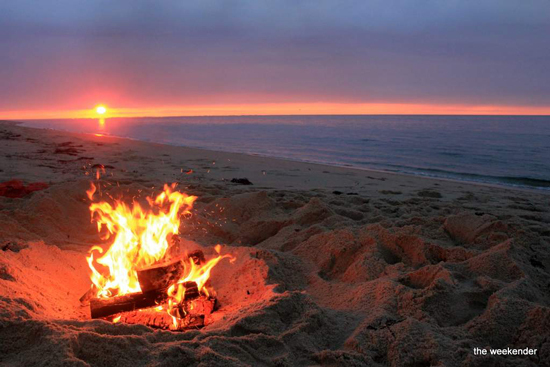 I spend a lot of my summer on Cape Cod (don’t worry – I’m working remote), so as fall approaches, I thought I would lay out my top 5 favorite Cape Cod beaches. 1. 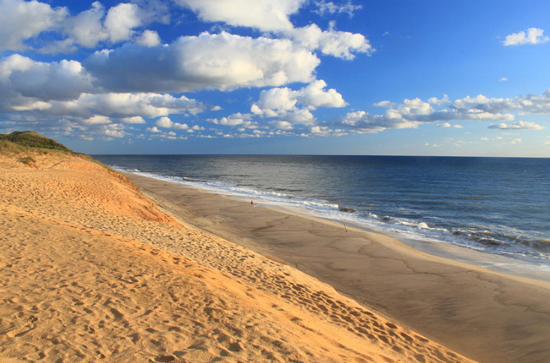 Race Point (South) - At the very tip of the cape lies Race Point Beach - my favorite National Seashore Beach and my favorite beach overall. I have my off road vehicle permit, so most weekends the Jeep Army heads to Race Point. 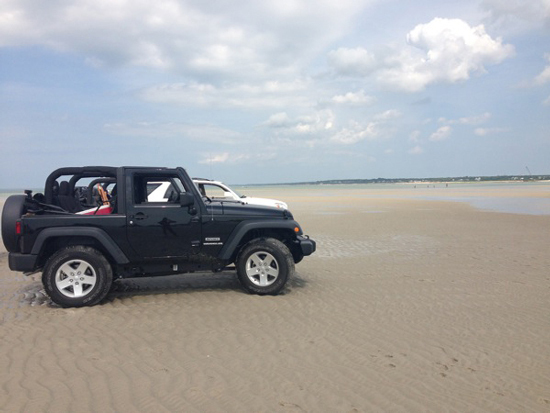 With the ORV permit, we drive out onto the beach and away from the crowds of people on the cape. Beautiful and desolate, this beach lends itself to wide open spaces for frisbee, baseball, and just about any other beach activity. Few rocks and calm yet great surf. 2. Crowe’s Pasture - The second on the list is also an ORV beach. This Dennis town beach on the bay side features an amazing sand bar at low tide that stays out for about 3-4 hours. When the timing is right on a beautiful day, you can’t beat being able to drive right through the ocean, on to a sand bar and set up for the day. Grills, games, cold beers and warm water. 3. 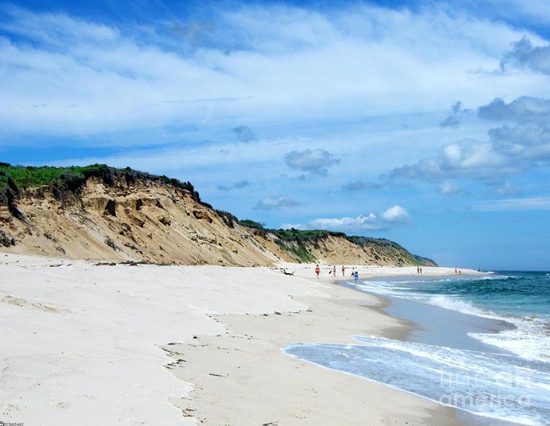 Cahoon Hollow - What doesn’t this beach have? Amazing waves, beautiful views, a young party atmosphere and the world's greatest beach bar – The Beachcomber. Make sure your in line by 9:30 a.m. or the parking lot fills up. When you’re tired of the beach, trek up the hill and grab a Goombay Smash and fish tacos at the world’s friendliest bar. 4. Coast Guard Beach - Don’t be put off by the tram to the beach. Once your past the tram issue, this is one of the top beaches in the world. Great surf, soft sand, and a lazy river to float down at the right time. The water is shockingly warm for an ocean beach and a quick hop back to my house. 5. White Crest - Located about a mile from Cahoon Hollow, this is the spot to hit when Cahoon is full. Don’t let the huge hill deter you, this is an amazing beach and usually a jumping off point to head to The Beachcomber. 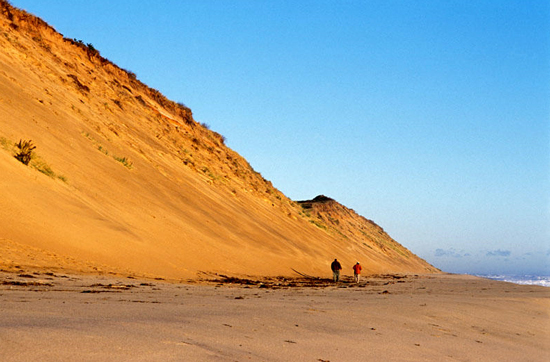 Usually a bit quieter than Cahoon, this still features the great surf and amazing sand dunes.